Improved sanitation devices are used by less than two-thirds of the world’s population, and regional differences are stunning. Of the 2.6 billion people without sanitation, by far the greatest number are in Southern Asia. Other large numbers are found in Eastern Asia and Sub-Saharan Africa. 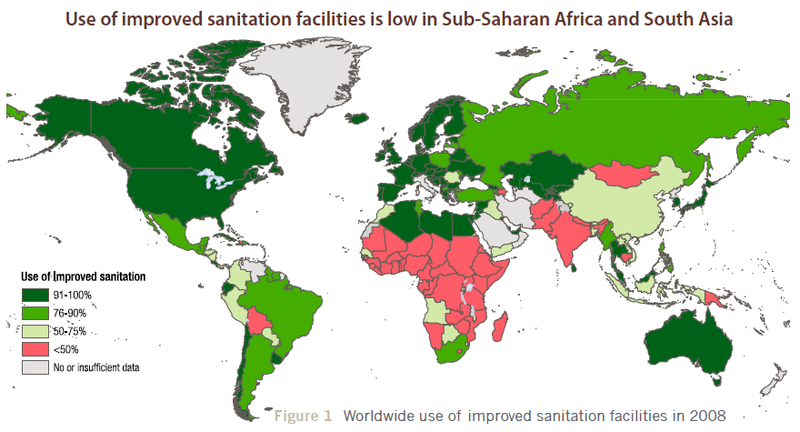 Since 1990, notable increases in sanitation have been made in Northern Africa, South-eastern Asia and Eastern Asia, but there’s been almost no progress in the Commonwealth of Independent States, and things have gotten worse in Oceania. At the current rate of progress, the world will miss the Millennium goal by 13 percentage points, leaving 2.7 billion people without access to sanitation. It would take a phenomenal effort to reach the original goal of halving the proportion of people without access to basic sanitation by 2015. Compared to sanitation, quite a few people in the world drink water that meets health standards. Some 87 percent have access to improved water sources, including 84 percent in developing regions. 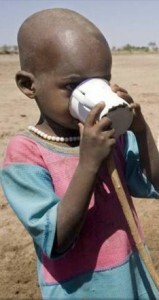 Even so, 884 million still lack adequate drinking water, with a third of those in Sub-Saharan Africa. Despite an 11-percent increase in drinking water supplies in that region since 1990, 40 percent still do not have access to improved water supplies. 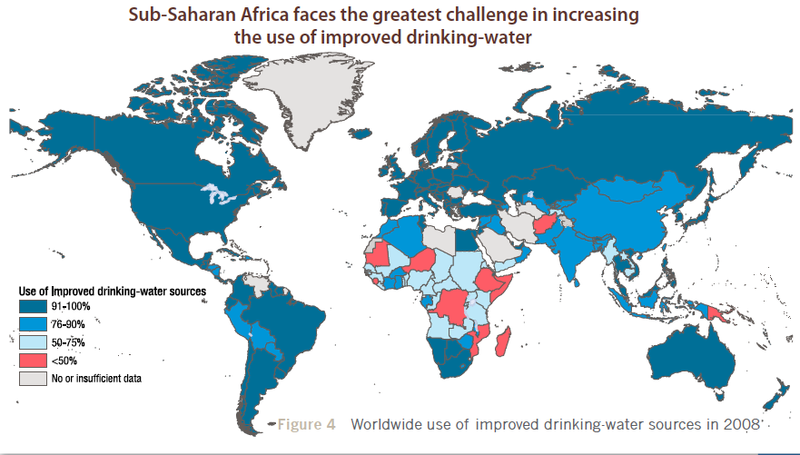 Thanks to efforts to improve drinking water supplies since 1990, the world is expected to exceed the Millennium goal of reducing the proportion of people without access to safe drinking water by 2015. The work will need to continue, however, since 672 million people will still lack improved water sources in 2015. As the monitoring study points out, the figures can be a little misleading. The population gets counted as having safe water if they can get to it. But more than half the population living in rural areas of Africa need to walk more than 30 minutes to collect their water. As evidence that people are paying attention to this problem, check out the Amusing Monday issue from March 1. If you’ve stayed with me so far, here is a final video from Good magazine that seems to put it all together. Good is one of many organizations recognizing World Water Day 2010.